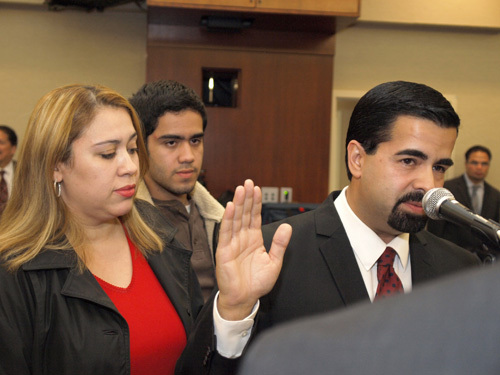 After nearly seven months of hearing no new information about the fatal shooting of former Bell Gardens Mayor Daniel Crespo, news that his wife has been charged with his killing has taken some local residents by surprise. The Los Angeles County District Attorney’s office last Friday announced that a County Grand Jury has indicted Lyvette Crespo on charges of voluntary manslaughter. If convicted, she could face up to 21 years in state prison. Twenty-four-year-old Celina Rodriguez told EGP she was shocked Lyvette was not arrested right after she allegedly shot the mayor multiple times during an domestic dispute on Sept. 30 of last year. 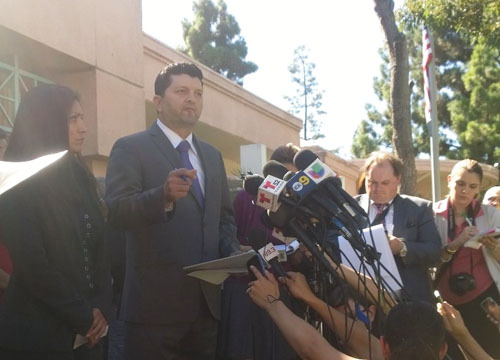 “I thought they were just going to leave it at that,” the Bell Gardens resident said in Spanish Tuesday, figuring that after so much time Crespo’s wife would never be charged. The district attorney requested that a criminal grand jury hear evidence to determine whether a crime had been committed and what if any charges Lyvette should face. The grand jury’s indictment was returned April 16 but remained sealed until last Thursday, April 23, when Lyvette was taken into custody after pleading not guilty to the charges. She was released Friday after posting a $150,000 bail bond, and is due back in court for a pretrial hearing May 29. Why prosecutors chose the grand jury route rather than a preliminary hearing, however, is unclear. “Prosecutors make the determination to file cases based on evidence,” D.A. spokesperson Jane Robison told EGP in an email. According to Rummel, office politics are often involved. “You don’t spend time in a grand jury if you don’t think they will indict,” she said, but added that going to the grand jury is a way to make sure the decision to prosecute does not fall on just the D.A.’s office. Unlike in a pretrial hearing, during grand jury proceedings, the district attorney presents evidence without the defendant or their attorney being present. Typically, a summary witness, such as a police officer, is used to provide an account of the case. “I think it’s appropriate when you have doubts about what really happened,” Rummel said. An indictment requires a vote in favor by at least 14 of the 23 members, who are all civilians selected from a random pool of registered voters. An indictment by a criminal grand jury is not a finding of guilt, but instead contends there is probable cause to proceed using a lower standard of proof. “It is definitely easier to indict” in a grand jury, explains Rummel. In this case, “the grand jury made the determination based on the evidence we presented,” the D.A.’s Robinson said. Eber Bayona, Lyvette Crespo’s lawyer, says his client was a longtime victim of domestic violence by her husband and evidence presented during trial will acquit her of all charges. “I want to ask the public to maintain an open mind and to wait until all the evidence has been presented before they make a final opinion about what happened,” he said during a press conference last week outside the courthouse. According to Los Angeles County Sheriff’s investigators, Lyvette and her husband were arguing when their 19-year old son Daniel Crespo Jr. intervened, leading to a struggle between the two men. Crespo Sr. allegedly punched his son and that’s when Lyvette allegedly grabbed a handgun and shot her husband three times in the chest. The decision to not file charges initially led to public outrage and criticism by residents who were fans of the popular mayor. 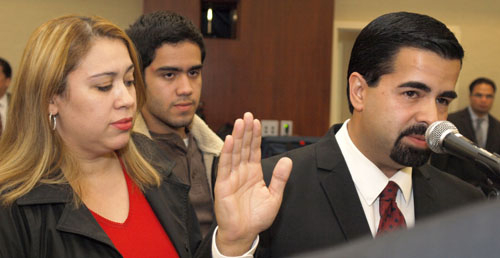 Linda Garcia told EGP Tuesday that she broke down in tears when she heard her mayor had been fatally shot by his wife. Since Crespo’s death, rumors have speculated that there was another, darker side to the public figure. 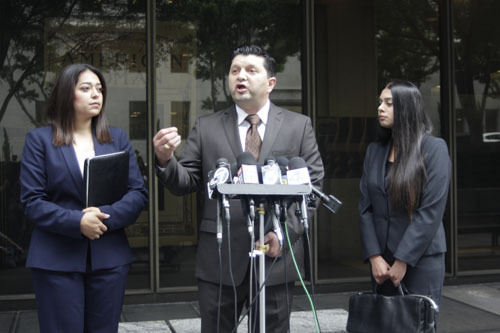 Lyvette’s attorney claims the former mayor not only abused his wife but other women as well, and had mentally and physically abused his children. Daniel Crespo’s brother, William, has denied the allegation, claiming Lyvette was angry and jealous that her husband was involved in extramarital affair. He claims Lyvette had often threatened violence against her husband. Even if he was cheating on his wife or he had abused her, murdering him is not justified, says Bell Gardens resident Beatriz Ochoa. She told EGP that when Lyvette was not immediately arrested, she assumed money or some other form of influence was keeping her out of jail. Robison assured EGP public outrage was not the reason why Lyvette was ultimately indicted. “We do not file cases or take evidence to the Grand Jury based on public opinion or whether we receive calls or letters,” said Robison. Transcripts of the Grand Jury proceedings that led to the indictment are released 10 days after they are received by the defendant’s attorney, which could be early next week, said Robison.